Home » Beauty • Hair • Know How » Is Tangle Teezer worth the Hype? The traditional plastic wide- tooth comb era is over. We are flooded with hair tools including various brushes and combs and it seems impossible to limit yourself to only one hair detangling tool. Our expectations are high and the beauty companies are trying to fulfil them. A couple of years back natural bristles brushes went viral. There was such a huge demand that most of hair companies have a few types in their offer. For a few season we can observe a huge interest in an innovative, plastic brush namely Tangle Teezer. It looks great and it can literally save your hair. The Tangle Teezer is a British brand excluded from UK Dragon’s Den that is now popular all over the world. The shape of the brush fits the palm of the hands perfectly. It makes it easier and steadier to hold even if your hands are wet. When you brush your hair through it reduces the hair breakage almost to none. 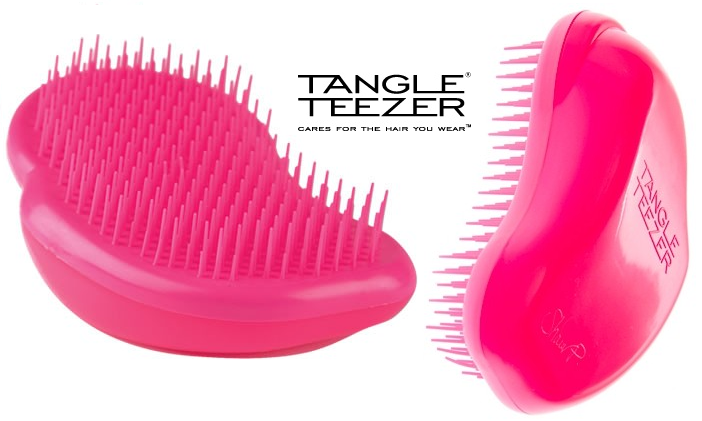 Tangle Teezer has a two different sized bristles that are very closely packed together. Thanks to that, it makes brushing your hair quick and smooth. It easily covers the whole area of section of your hair and it detangles it gently. Bristles are flexible and they bend without scratching your scalp and without dragging it. Each brush is in amazing colour and pattern. If you travel a lot, you will be pleased to know that you can get a compact size of Tangle Teezer with a protective lid. What is so unique about this product is the fact that it smooths hair and makes it shiny and fizz free. The price is the only downside to this brush as it cost around £9 for the compact version. Most of the Tanglee Teezer fans say that no matter how much it costs, it is worth it.